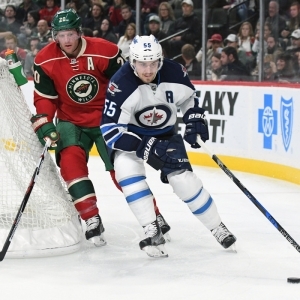 The Winnipeg Jets head to Xcel Energy Center to take on the Minnesota Wild on Tuesday, October 31, 2017. The opening line for this contest has the Jets at -150 and the Wild at +136. Winnipeg has a record of 5-3-2 this year and away from home they have a record of 2-1-2. They are 2nd in the Central Division. They've tallied 31 goals and surrendered 31 goals for a point differential of 0. For the year they have an ATS mark of 4-5-0 and an over/under record of 6-3-0. Minnesota has a record of 4-3-2, including 2-1-1 on home ice this year. They are 7th in the Central Division. They've scored 30 goals and have given up 28 for a goal differential of +2. 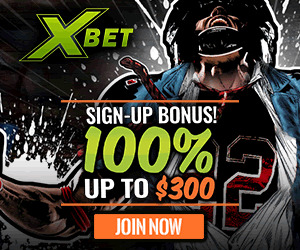 Their record against the spread is 4-5-0 while their over/under mark is 6-2-0. Connor Hellebuyck has 5 wins and 0 losses this season in goal for the Jets. He has 206 shots against him and he's surrendered 13 goals. He's made 193 stops for a save percentage of 94%. Nikolaj Ehlers has scored 8 total points this year for the Jets. He has 6 goals this season with 30 shots on net, giving him a shooting percentage of 20%. He has a total of 2 assists on the year and averages 17.3 minutes played per contest. Mark Scheifele averages 21.4 minutes of ice time per game this season. In that time he has a shooting percentage of 21% by tallying 4 goals on 19 attempts. He has 7 assists, giving him a total of 11 points on the year. Chris Stewart has 8 total points this season for the Wild. He has 6 goals this year with 18 shots on goal, giving him a shooting percentage of 33%. He has a total of 2 assists on the year and averages 13.7 minutes played per contest. Devan Dubnyk has 3 wins and 3 losses this season in net for the Wild. He has 222 shots against him and he's given up 21 goals. He's made 201 saves for a save percentage of 91%. Eric Staal averages 18.4 minutes of ice time per contest. In that time he has a shooting percentage of 13% by scoring 4 goals on 30 attempts. He has 3 assists, giving him a total of 7 points on the year. The Jets have given up 36 power play opportunities and surrendered 8 goals on those chances for a penalty kill percentage of 78% this season. That is 25th in the league. They average 29 shots per contest and as a team shoot 10.69% for the year. They allow 35 shot attempts to their opposition per game and have a team save percentage of 91%, ranking them 13th in the NHL at stopping the puck. The Jets are 19th overall with 12 total points this year. They are 20th in the league with 31 goals and 22nd in goals allowed with 31. They've had 34 power play chances and scored 5 goals on those opportunities for a percentage of 15%. That is 22nd in the NHL. As a team, the Wild are 21st with a total of 30 goals scored while they are 25th with 28 goals surrendered this season. They average 30 shots per game and have a team shooting percentage of 11.07%. As a unit they give up 33 shots per contest and have a save percentage of 91%, putting them 14th in the league. The Wild have a total of 10 points this season, which is 24th in the NHL. They have had 6 power play goals on 29 chances for a percentage of 21%. That is 10th overall. They've given up 38 power play opportunities and surrendered 8 goals on those chances for a penalty kill percentage of 79%, ranking 22nd when short-handed. Winnipeg has a Corsi percentage of 45.2% as they've tried 513 shots on goal while at full strength while they have surrendered 621 shots on net when they have a full team on the ice. That ranks them 31st in Corsi percentage. They are 31st in the NHL in Fenwick percentage with 45.1% as they have 380 shots while they've given up 463 attempts on defense. The Jets start possessions in the offensive zone 43.2% of the time while their defensive zone percentage is at 56.8% for the year. That puts them 31st and 1st in the league in zone percentages respectively. They have 314 face-off wins as opposed to 305 losses, meaning their face-off win percentage is 50.7%. That is 16th overall in the NHL. On defense Winnipeg has 191 hits and they've blocked 158 attempts from opposing offenses, which is 13th in the league. The Wild start possessions in the offensive zone 50.2% of the time while their defensive zone percentage is at 49.8% for the year. That ranks them 20th and 13th respectively in the NHL. They have 298 face-off wins as opposed to 269 losses, meaning their face-off win percentage is 52.6%. That is 5th in the league. On defense Minnesota has 163 hits and they've blocked 137 attempts from opposing offenses, ranking them 24th in blocked shots. Minnesota is ranked 30th in Corsi percentage with 45.4% as they've tried 453 shots on goal while at full strength while they have surrendered 545 shots on net when they have a full team on the ice. Their Fenwick percentage is 29th in the NHL at 46.5%, as they have 354 shots while they've given up 408 attempts on defense.